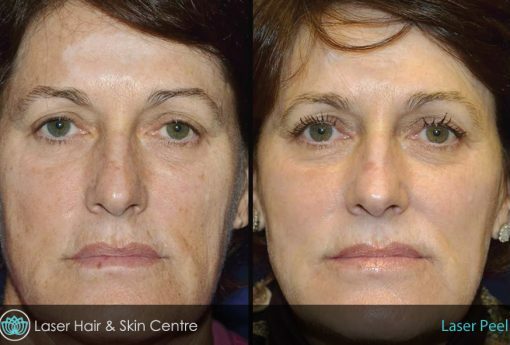 Over the past 15 years the Laser Hair & Skin Centre has reviewed various skin conditions that are a common issue with our clientele. 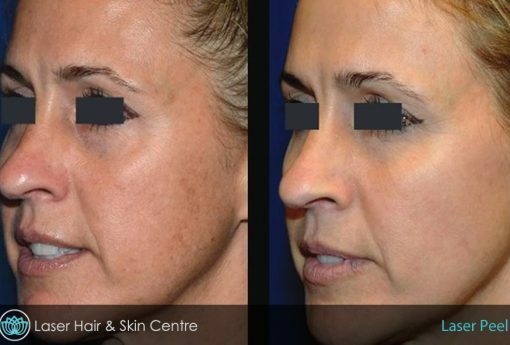 After strict research and exploration into the medical laser field, we have acquired the leading medical grade, gold standard Revlite® Si for skin and pigment treatments. 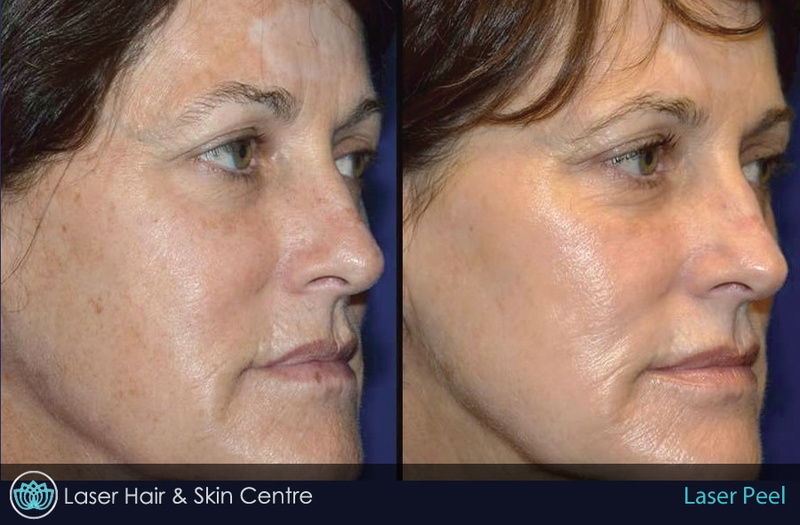 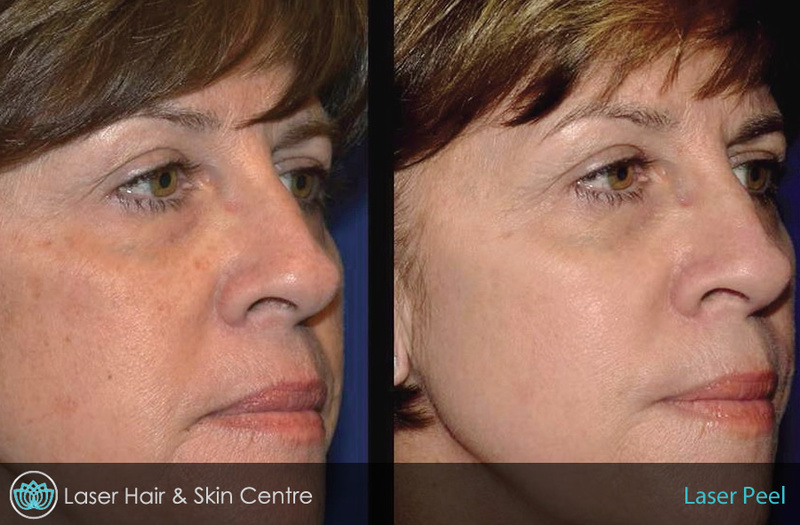 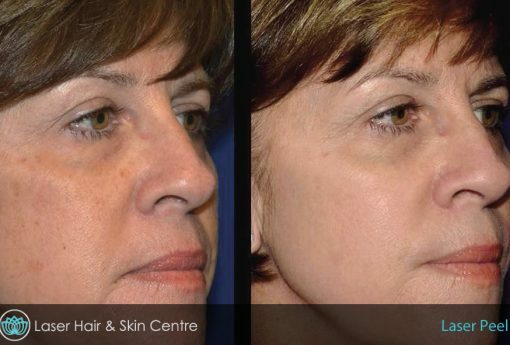 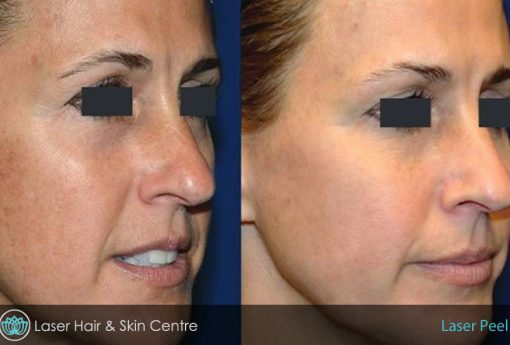 The Laser Hair and Skin Centre’s laser peel is the go to treatment for skin types I, and II. 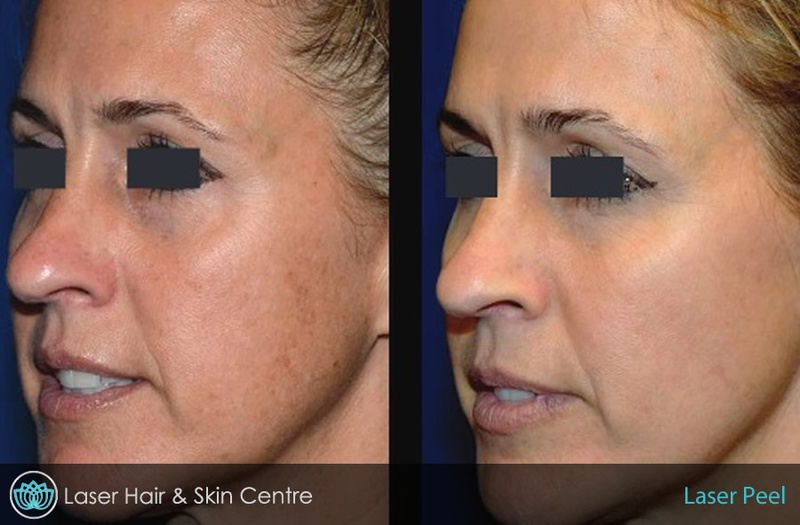 Our quick and non-invasive procedure is a perfect alternative and modernly superior treatment when compared to chemical peels and dermabrasion treatments. 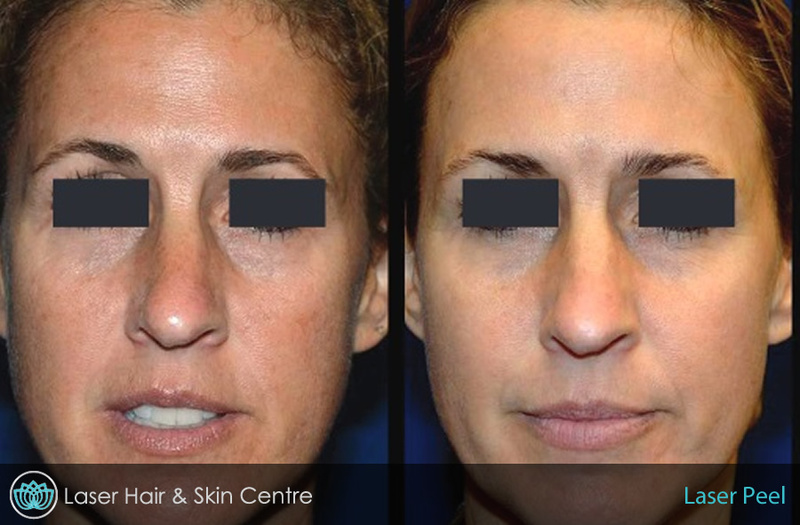 Being a more aggressive treatment when compared to other laser and light care procedures, yet with some of the least discomfort in the industry, our clinic is vastly confident in being able to offer you some of the highest results out there. 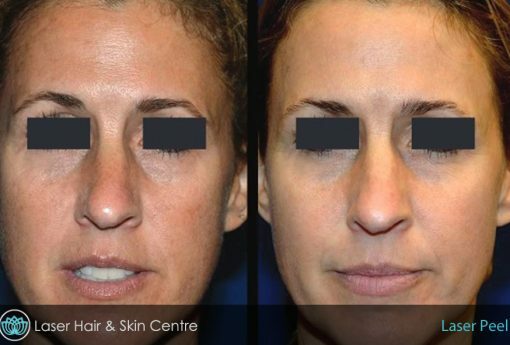 With such a strong medical innovation and recognized precision, behind our leading medical grade laser, our clientele can experience the flawlessness we all crave out of our complexions. 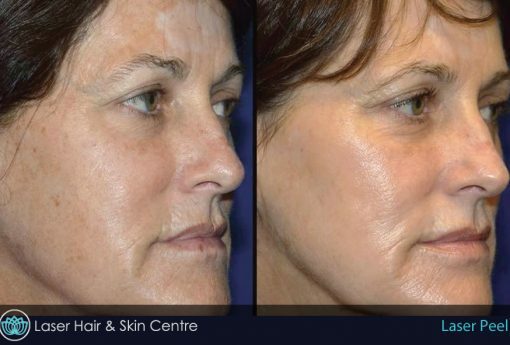 Our skin is an important factor when it comes to our appearance, and our clinic understands that imperfections may alter our confidence levels – we are here to help give you back that confidence, and treat imperfections with the best results that our industry has to offer. 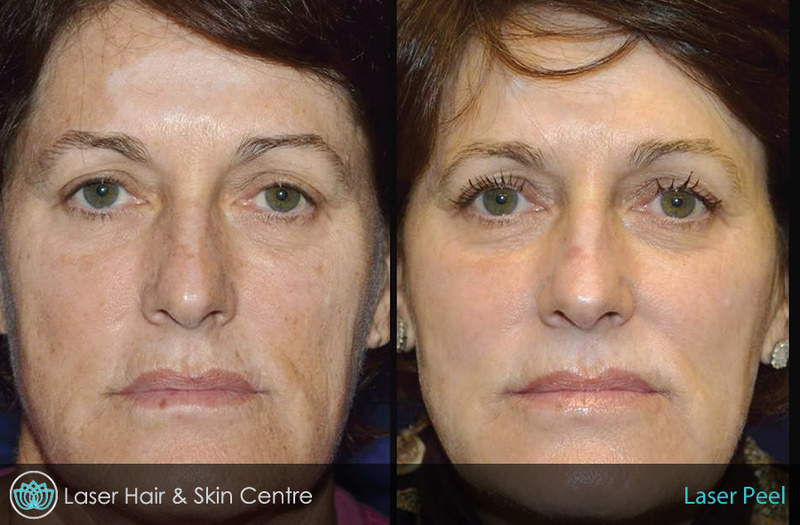 Our specifically trained technicians are here to determine which treatment will be best for your skin, Click Here to book a free consultation and start on the road to flawless skin.